LISTED clothing giant Edgars Group's profit after tax spiked to $1,9 million for the 26 weeks period ended July 8, 2018 compared to $567,499 in the same period last year, backed by growth in sales and cost cutting initiatives. According to the group's interim financial results, merchandise sales for the period grew to $31,1 million from $24,1 million in the half year to June 2017. "The group's profit before tax increased by 200 percent from $900 000 to $2,6 million in 2018 driven by predominantly the growth in sales," said Edgars chairman Mr Themba Sibanda. An analysis of the clothing giant financial results for the period under review also shows Edgars current ratio was constant at 2,8 if compared to the same period in 2017. This means that Edgars' ability to meet its short-term debt remained constant and the firm remains a going concern, despite the challenging operating environment. Total current assets for the period under review were $40,7 million down from $41,4 million in the comparable period last year. 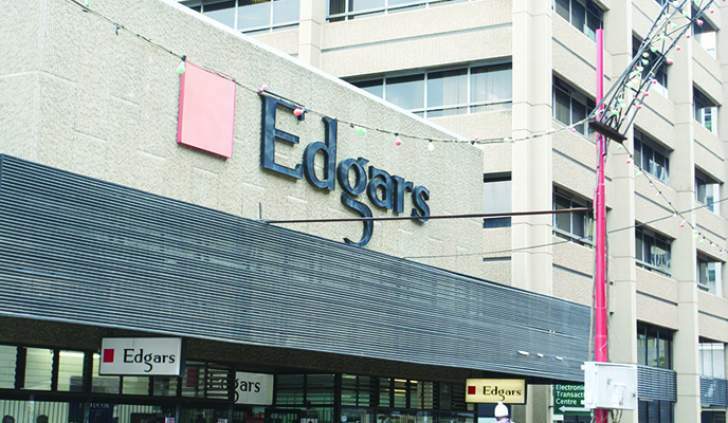 During the period under review, Edgars Stores Limited managed to reduce its total current liabilities to $14,3 million from $14,7 million. "Borrowings have increased to $7,6 million (December 2017:$4,6 million) as a result of store revamps, shorter supplier credit terms for merchandise inputs and microfinance growth," said Mr Sibanda. As part of its retail operations, Edgars is now running a new microfinance business whose loan book grew from $600 000 as at December 2017 to $2,6 million in June 2018. The microfinance division has earned total revenue of $500 000 in the six month period to June while a profit before tax amounting to $62 000 was realised. Mr Sibanda, however, said Edgars' subsidiary factory, Carousel, made a loss of $300 000 after a once off terminal benefits of $200 000 was made. "We believe the reduced cost structure will align with export initiatives being pursued," he said. In June this year, Edgars was reported to have retrenched 90 workers from its Bulawayo branch, mainly from the factory unit. The group has also indicated plans to resume garments and clothing exports into the region. Edgars ceased exporting at the height of the hyper inflation in 2008 and plans to resume exports targeting South Africa when the firm's throughput at its factory improves. Prior to suspension of exports, the listed clothing concern was exporting into the region as well as European markets to countries such as Germany.